If you thought Santa was the only magical Christmas character…think again! Unicorns love the holiday season, in fact, that’s the only time they come out of hiding. An urban legend about Christmas unicorns states that Rudolph was in fact not a reindeer at all, but a unicorn! Rumor has it that he could shoot snowflakes out of his magical horn, as well as lead the way through the fog with his glowing nose! 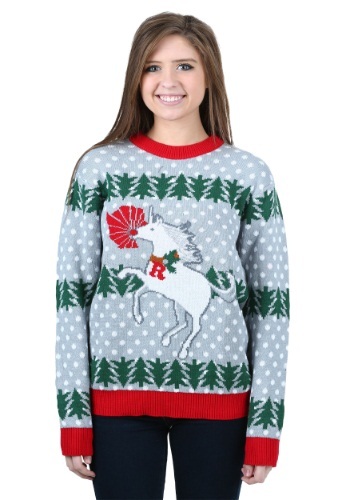 Educate people on Christmas unicorns by wearing this Unicorn Rudolph Ugly Christmas Sweater to your office holiday party. 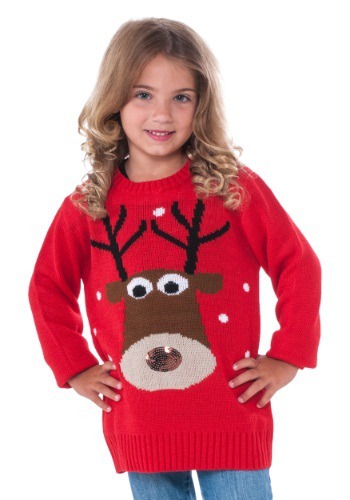 People will be fascinated to learn that Rudolph was really a magical unicorn!.